Startups, especially those in the technology and consumer products industries, have been known for earning business valuations that are seemingly astronomical. Millions and millions of dollars get invested into hot, new companies, but some of those companies ultimately fail to live up to expectations, which can cause financial issues for many down the road. Here, we highlight a few ways in which overvaluation can have an adverse effect the valuation industry, and provide some insights on how to help restore the balance between true and assumed business values. Much like a human being taking a deep breath, the overvaluation of a company tends to hyper-inflate the larger industry it’s a part of. This inflation can affect everything from the business decisions made internally, to the investment choices venture capitalists and others make on companies similar to the unicorn startup in question. Eventually that inflated sense of value is going to have to deflate, or exhale, which can cause economic anxiety within a respective industry. This can lead to overly reserved valuations in the future, harming a business owner’s chances of being valuated properly. When it comes to running a successful business, especially one that relies heavily on public investment, image is everything. 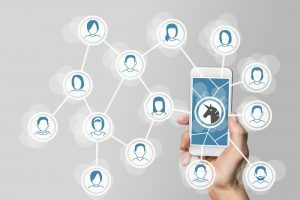 If a “unicorn” valuation exceeds that of what the consumer population deems fit, it can negatively affect the way the public perceives that company. Companies like Cloudera and Snap, Inc. saw swift declines in positive public sentiment, when their initial valuations didn’t match when it came time to go public. Proximity also plays a major role in the proper valuation of a company. For example: Tech Company A is gaining a lot of traction in the Silicon Valley area. Investors and VCs are clamoring to get in on a piece of the action. A focus group of 100 non-Bay Area residents shows that nearly 93% of them have never heard of Tech Company A, nor would they use their services to fulfill any immediate needs. That lack of proxemics and relevancy can cause private overvaluations to take a major hit when it’s time to go public with an IPO. The best way for business valuation firms to restore a sense of balance is simply by being more patient when it comes to evaluating the long-term value and shelf life of a business. Risk analyses and five-year plans are great resources that can be used to gain a better sense of how a startup is destined to perform in both present and future economic climates. Discover how an online business valuation tool can open your doors to new opportunities, whether it’s a startup or veteran company—explore Banker Valuation’s membership offers and one-time business valuation solutions.